A sod cutter is used to remove unwanted grass or vegetation from an existing lawn. It is one of the most used gardening tools after the shovel. The simplest sod cutter resembles a shovel in several ways, but has an angled back and serrated edge with which weeds are pulled out along with their roots. Using a sod cutter, specially a mechanized one, saves time as opposed to clearing an area by hand or with a shovel or hoe. 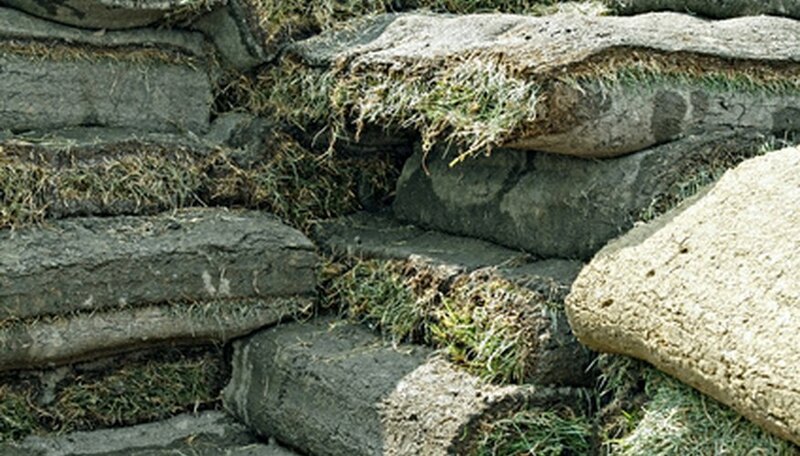 Knowing how to use a sod cutter properly is essential for its effective operation. Purchase or rent a manual or mechanized sod cutter from your local rental company. Demarcate the area you want to cut by making 2-foot to 3-foot-squares with powdered chalk. This helps you cut the sod into uniform squares that you can then use in another spot. For large areas, you can demarcate 2-foot to 3-foot wide strips. Start at a corner of the area and insert the blade of your manual sod cutter into the ground, just like you would with a shovel. Do not worry about pushing too deep; the angled back prevents you from cutting too deep into the ground. Push the sod cutter into the ground until you hear the roots tear. Extend it over a line until all the roots of that side come loose. Do the same all around until you complete a demarcated square. Push the shovel portion of the sod cutter under the square to tear the roots underneath, and scoop it up to lift the grass along with some soil. Repeat this procedure until you cover the entire demarcated area. Use a power sod cutter for clearing a large area. Position it at a corner of the area you want to clear, shift the gear to neutral and pull the cord firmly to start the engine. It may require several attempts before the engine starts. Squeeze the handle, pull the blade engagement lever and position the lever to the slowest gear. Set the blade's cutting depth to your desired thickness. To do this, turn the depth knob counter-clockwise for a deep cut, or clockwise for a shallow cut. Press the handle down and allow the sod cutter to operate for a distance before placing it in neutral. Lift the cut piece of sod and view its thickness. If the thickness is what you want, resume cutting until your sod strip or square is complete. Always protect your feet with long boots when using a sod cutter to prevent injury. Water the area you want to clear of unnecessary vegetation two days prior to operation so the ground is soft and manageable. Always put a mechanized sod cutter in neutral before starting the engine.